The country's largest railway saw its workforce decrease by 9% last year (2,300 employees), with about 1,150 employees laid off at years’ end. 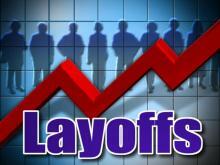 The Company has also implemented a hiring freeze. The Company says that it may shed more employees in 2016 if freight volumes fall again this year as expected. Despite employee layoffs, shareholders are seeing a 20% increase in CN's 2016 quarterly common-share dividend. When announcing their fourth quarter financial results at the end of January, despite an overall decrease of 8% in car loadings, their profits actually rose by 12 per cent to $3.5-billion, or $4.39 a share, while Revenue rose by 4 per cent to a record $12.6-billion for the year 2015. Although revenues declined for metals and minerals, coal and petroleum and chemicals, revenues increased for automotive, intermodal, forest products and grain. So far, Unifor National Council 4000 has not been hit as hard with direct layoffs as has Unifor Local 100, who represent CN shop craft employees. Local 100 has 56 members laid off in Winnipeg (37), Montreal (16) and London, Ontario (5, but 2 absorbed elsewhere). But like Local 100, Council 4000 also sees situations, like Local 100, where vacancies caused by members retiring or resigning are not being filled. In the summer of 2015, the Company abolished 3 Train Movement Clerk (TMC) positions in Surrey, B.C. (Thornton Yard) due to a downturn in traffic. Also this past summer, CN transferred 3 TMC positions from Winnipeg (Symington) to Edmonton (Walker) without establishing the equivalent number of jobs at Edmonton. The same happened with the last of the 3 remaining accounting positions in Winnipeg that were transferred to CN’s headquarters Montreal. And, in cases where the workload has actually increased at some workplaces, the Company is not adding additional employees to handle the increased workload due to its present hiring freeze. There are also overtime bans in place, which causes concern that non-bargaining unit employees are engaging in work that is to be performed by our membership. Supervisors and managers in these departments seem to think, erroneously, that the collective agreement can be ignored due to restraints on hiring and overtime during a reduction in rail traffic. So far, 18 members of Council 4000 have been laid off, 9 in Winnipeg at the Transcona Shops (Local 4002), and a total of 9 Conductors/Locomotive Engineers at CN Savage Alberta Railway at Grande Cache and Grande Prairie, Alberta (Local 4001). On a more positive note, our membership at CNTL has seen an increase of 46 Owner-Operators over the past few months, with 34 new drivers hired in Brampton, Ontario, 10 in Calgary, Alberta and 6 in Newfoundland and Labrador, thanks to an increase in CN Intermodal traffic, both internationally and domestic. If an Owner Operator member retires or resigns, the vacancy is general being filled by a new driver.